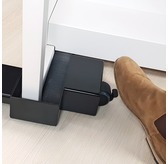 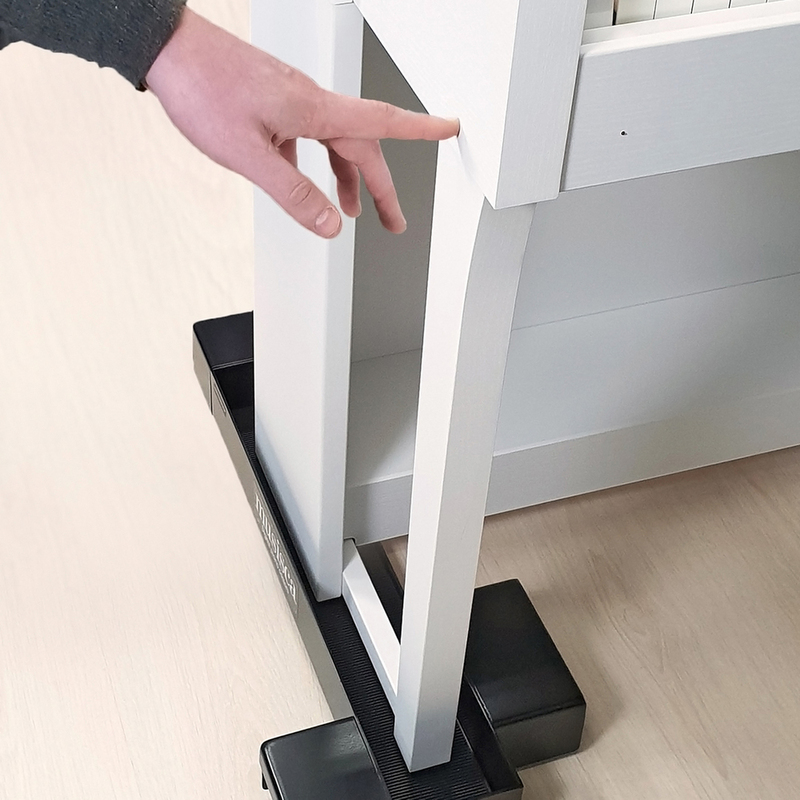 Move your digital piano across any type of floor with these UK made castors designed for all popular digital pianos. 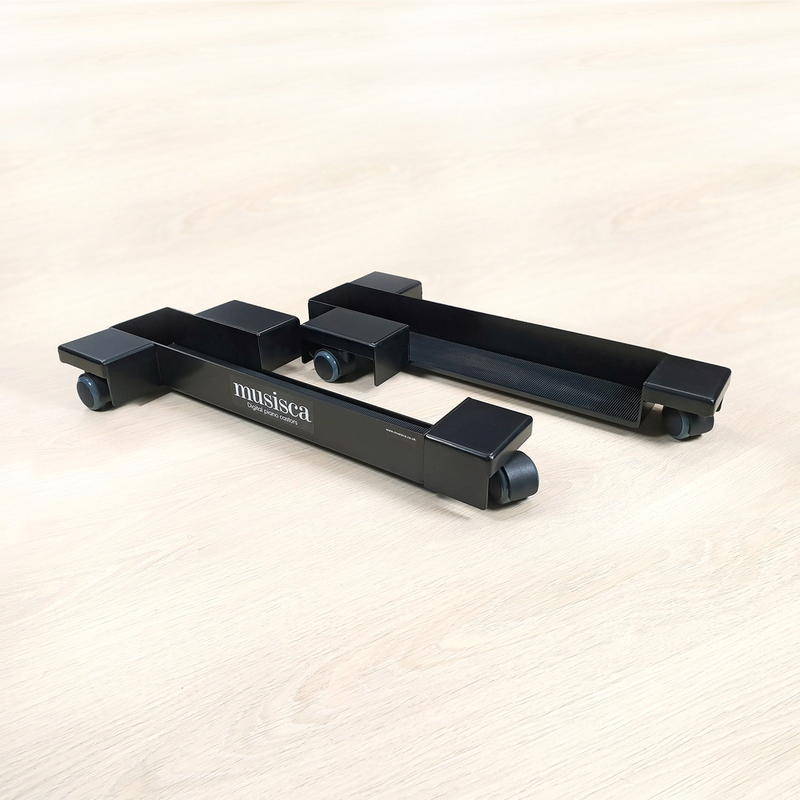 Made from black powder coated steel with non slip rubber mats. 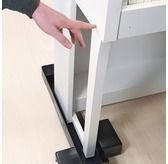 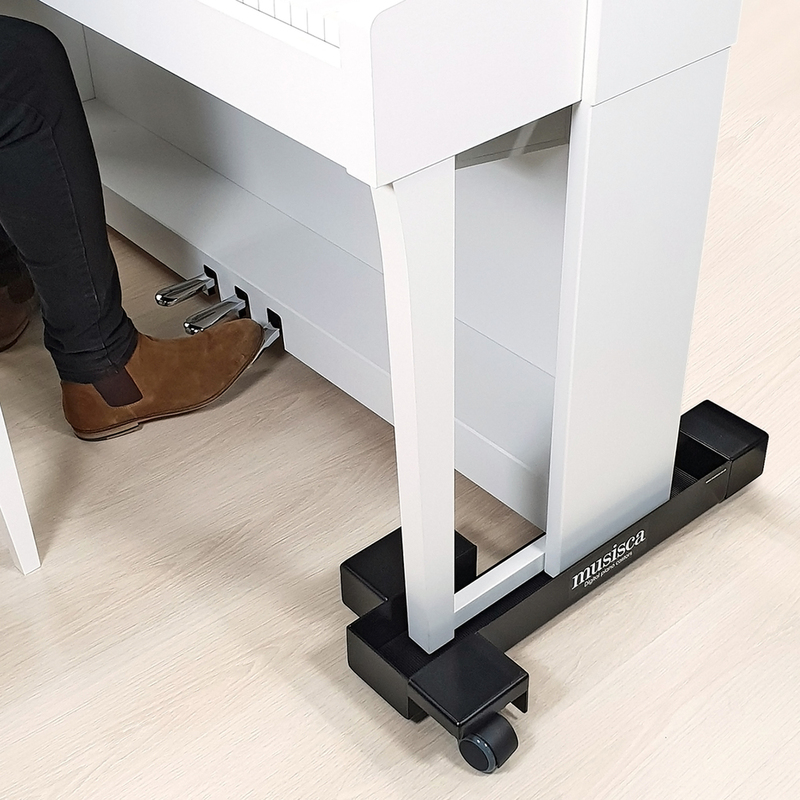 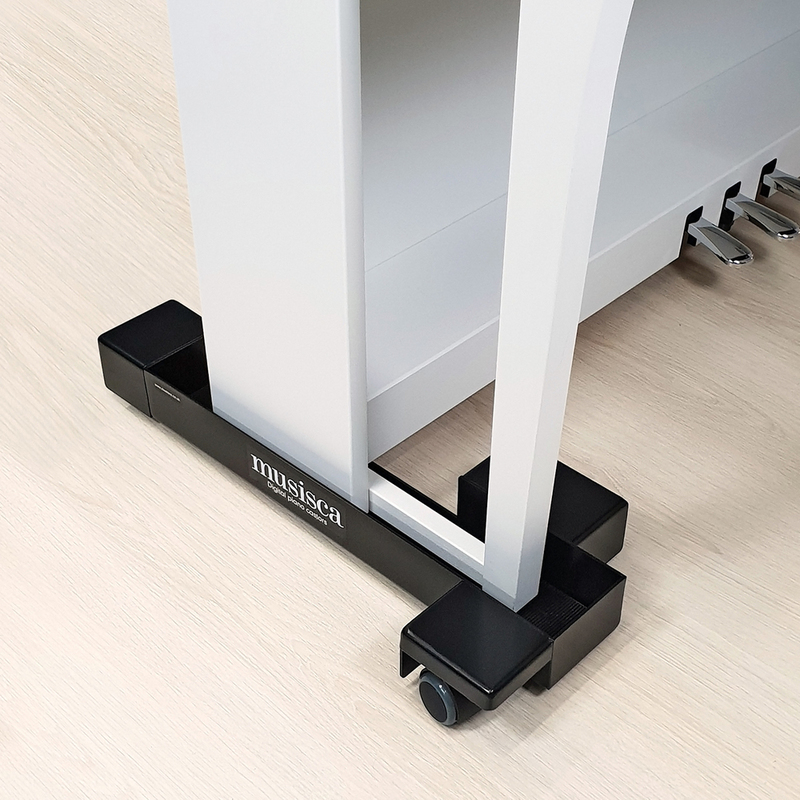 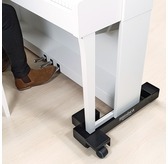 Only raises the piano 1.8cm off the ground and has swivel wheels with rubber tyres to prevent wooden floors getting scratched.